Bangladesh selector Habibul Bashar insisted that Shakib Al Hasan needs not any grooming specially for the World Cup given the ace all-rounder has been with the national team for over a decade and fully aware of his responsibility. His comment came at the moment on the wake of the question whether Shakib, the vital cog of Bangladesh’s World Cup ambition will be brought back to country before the completion of the IPL to have better preparation and rest. Bashar said, subject to his fitness, Shakib can play all the matches whatever he wishes. “He has been playing for Bangladesh for 10-15 years. I don’t think he needs any grooming and specially for the World Cup he should be brought back to the country,” Bashar said on Saturday. 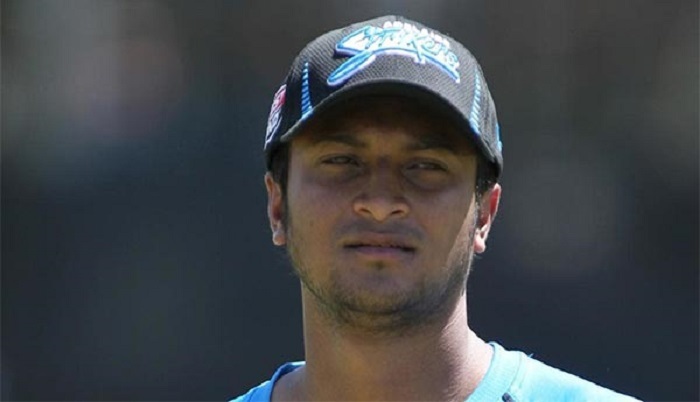 Earlier, BCB president Nazmul Hassan Papon also said Shakib should not play third Test against New Zealand or the IPL unless he regains his fitness fully. Shakib was ruled out of the cricket since the final of Bangladesh Premier League (BPL) T20 on February 9 with his left little finger injury. “There’s no issue with the third Test [in New Zealand] or IPL. The issue is with his fitness. [We need to think] how fit he is to play and which game he can start with,” Bashar revealed. While the selectors had already sent a 30-member preliminary squad for the ICC Cricket World Cup, Bashar said some new faces were included this time around.